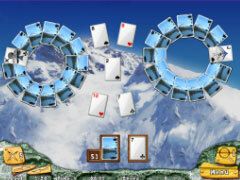 Love solitaire and looking for a new challenge? Tri-Peaks Twist Collection combines the classic strategy of tri-peaks solitaire with fun layouts, unexpected power-ups and eye-catching visuals. 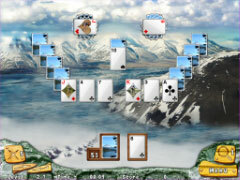 You'll need strategy, a sharp eye and a little luck to clear each level, revealing hidden cards one-by-one. Matching specially marked cards can release useful power-ups to clear the board even faster. Play in levels mode to rack up points and reach the leaderboard, or choose your game for a more relaxed approach. 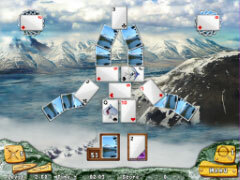 With over 500 maps, 5 types of cards, 5 backgrounds and 3 game modes, Tri-Peaks Twist is mountains of fun!